Carrion Feeder ($11.48) Price History from major stores - Scourge (Foil) - MTGPrice.com Values for Ebay, Amazon and hobby stores! 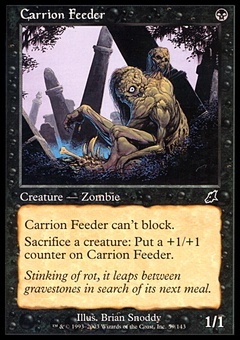 Card Text: Carrion Feeder can't block. 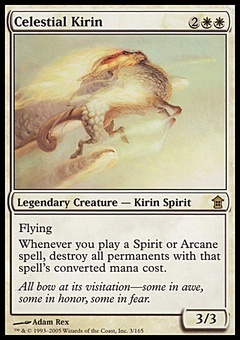 Sacrifice a creature: Put a +1/+1 counter on Carrion Feeder. 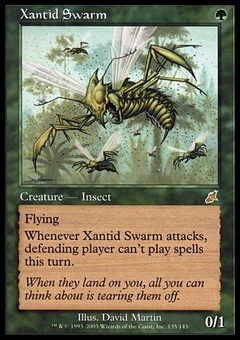 Flavor Text: Stinking of rot, it leaps between gravestones in search of its next meal.